The Golden State is known for its iconic destinations that attract large numbers of people every day. However, California is also home to numerous destinations that are quietly attracting wondering travelers. If you are looking for lesser-known places to travel, here are some of California’s emerging trendy destinations. Outdoor enthusiasts are congregating in what people are calling the “Adventure Seeker’s Dream Destination.” This dream destination, located in California’s northernmost region, is known as Siskiyou. This emerging destination offers year-round outdoor recreation opportunities ranging from white water rafting to hiking and skiing. With over 100 accommodations, 115 eateries, 30 campsites, 50 rivers, 270 lakes, and 40 hiking and biking trails, it’s not a surprise that Siskiyou is emerging as a trendy destination. The beautiful California North Coast is known for its breath-taking views of cliffs and beaches, towering redwoods, and of course, miles of vineyards and wineries. When exploring this underrated region, make sure to stop in Hopland, an emerging trendy small town, and stay at the historic Thatcher Inn, a Victorian gem with 18 guest rooms, a lively bar, a pool and al fresco dinning. There are also several tasting venues nearby like Campovida, Terra Savia and the new Golden Pig restaurant. After exploring inland, visitors are encouraged to head toward the coast and stop into Elk for a night’s stay at the Harbor House, a newly renovated deluxe property with eight guest lodgings. While Lake Tahoe is known as a premier year-round destination, people often just assume it is one city or town when it is actually the sum of many towns and communities. When visitors are exploring this beautiful region, they should head to northwest shore and experience the quiet communities of Tahoma and Homewood. These two towns are known as the “Magical West Shore” in Lake Tahoe, where pristine natural forest land is within walking distance. For visitors looking to ski or snowboard, the often-uncrowded Homewood Mountain Resort offers access to 750 acres of backcountry terrain. The west shore is perfect for those looking for a magical mountain experience. Just across the water of the San Francisco Bay is a town that is emerging as a must-visit destination. Oakland is an exciting, urban city that welcomes all age groups, from families to millennials. Families can head to Children’s Fairyland, a storybook theme park that the kids will love, and the younger crowd should explore Temescal Alley, an area with boutiques, coffee shops and much more. 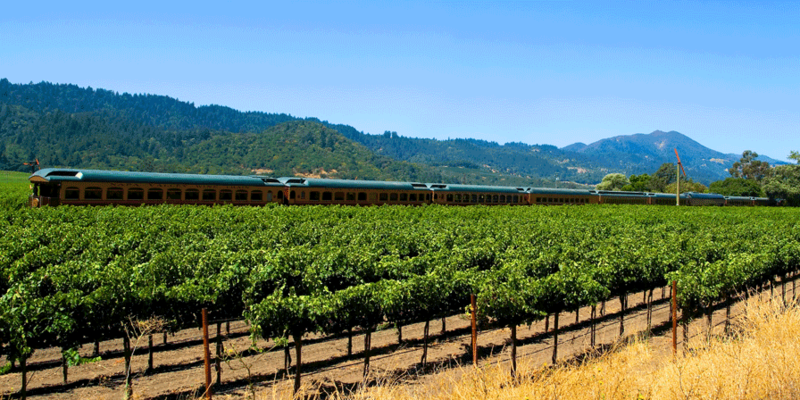 After exploring the great town of Oakland, thirsty travelers should head north to Napa and experience the Napa Valley Wine Train. This 36-mile trip takes you through beautiful wine country, stopping at renowned wineries along the way. From Monterey to Santa Barbara and everything in between, the central coast region of California is known worldwide as a top destination to visit. While places like Monterey and Santa Barbara attract the masses, a few places along the coast are quietly becoming a trendy travel destination. Start your trip in Paso Robles at Alta Colina’s Estate Vineyard and enjoy retro trailer camping, a one-of-a-kind camping experience. Travelers should then head toward the coast and explore the seaside towns of Morro Bay and Los Osos, a perfect mini region for nature lovers who enjoy outdoor activities. After a long day of exploring, visitors should stop into what people are calling the “Hoppiest” city in the world. San Luis Obispo has a growing craft brewery scene that is helping this city become a beer-cation destination. Other notable emerging trendy destinations along the central coast include Buellton, Camarillo, Cayucos and Oxnard. In between two of California’s most popular travel regions, Los Angeles and San Diego, is Orange County, most famously known as the home of Disneyland. While The OC is known for its pristine beaches and the happiest place on earth, the city of Costa Mesa is emerging as another trendy destination in this region. Costa Mesa, also known as the “Capital of Cool,” has been trendy in the fashion world for 50 years thanks to South Coast Plaza – the international shopping destination. After shopping at South Coast Plaza, visitors should head down to the seaside town of Dana Point and experience Dana Point Harbor. 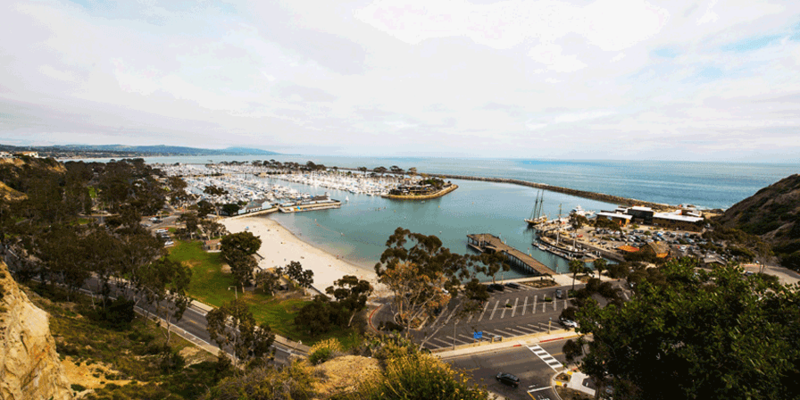 From whale watching and waterfront eateries to shopping and outdoor adventures, Dana Point Harbor has something to offer visitors of all ages. Thriving with culture and diversity, San Diego’s Liberty Station neighborhood is emerging as a trendy hot spot within this popular travel region. The large, walkable and bikeable neighborhood includes an ARTS District, schools, music school, dance studio, luxury Movie Theater, church, Stone Brewing, hotels, vast landscaped open spaces, and plenty of free parking for the restaurants and shops in the area. With so much to do and the addition of monthly events, Liberty Station is the perfect place to spend an afternoon with the family.